London Stansted Airport is a key catalyst for economic growth and productivity in the East of England, it's the biggest single-site employer in the region with over 10,200 people working for 200 on-airport companies. 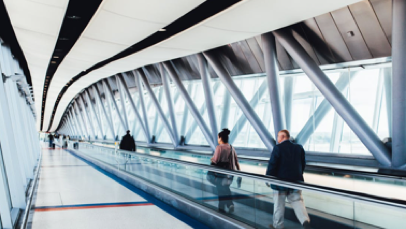 Stansted has more than 150 direct flight connections to international destinations, handles over 200,000 tonnes of cargo a year and is vital for growth in UK trade and investment. We recognise that businesses make a significant contribution to the local and regional economy, and we are committed to sourcing locally wherever possible. To support the growth of local businesses, Stansted facilitates an annual ‘Meet the Buyers’ event, now in its 17th year. A flagship occasion in the regional business calendar, the event brings together local suppliers and buyers, providing small businesses with a unique opportunity to pitch their products to senior buyers from across the region. Since 2011, these events have generated £21,941,750 worth of business. Last November, ‘Meet the Buyers’ welcomed nearly 300 businesses from across the East of England and London, all eager to showcase their products and services and potentially secure new business deals with some of the region’s biggest organisations. A range of industries were represented, from construction firms to local councils and universities. A record-breaking 46 private and public-sector buyers attended the event, an increase by the greatest margin to date. Following the event, an amazing £9,308,000 worth of business has been generated for local and regional businesses. One of the success stories from 2017’s event was DMWR, an architectural design business. 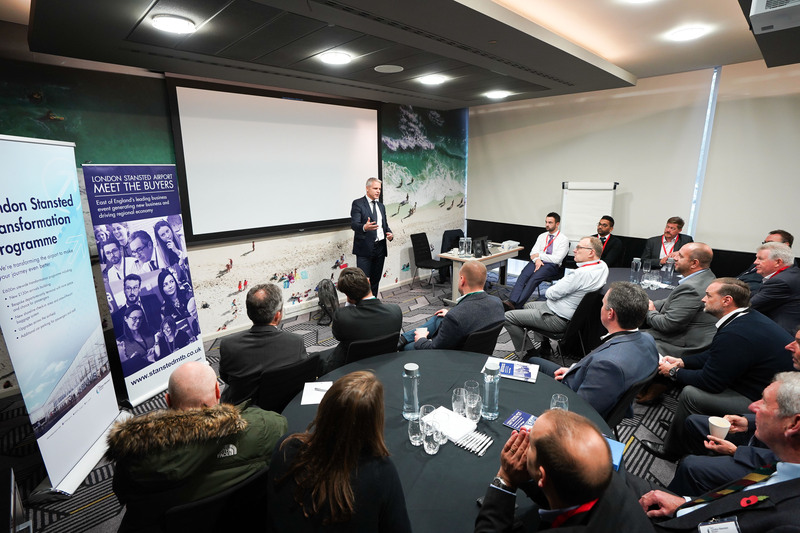 Experts in the aviation sector, they felt that Stansted’s ‘Meet the Buyers’ event was a great opportunity to meet with buyers in a face-to-face environment. Stansted Airport Academy is under London Stansted Airport’s (MAG) direct management and is working in partnership with Harlow College, we aim to offer our business partners a new strategy to meet their recruitment needs. We offer a comprehensive employability service, including an optimised website and various social media links which enables the business partners to effectively promote their employment opportunities. Stansted Airport’s dedicated Airport Academy staff are here to help develop the skills and confidence of those seeking to work at Stansted, and our pre-employment training programmes provide jobs seekers with an opportunity to effectively learn and gain necessary skills to allow them to secure employment with an on-site employer. Whilst our training programmes do not guarantee employment at the airport, it will equip learners with underpinning knowledge and skills specific to the sector alongside a range of transferable employability skills. With the continued growth of the airport, there are various job opportunities available, ranging from operations roles through to employment with one of the onsite hotels. The planned expansion of the airport will create a demand for 5,000 new jobs over the next 5 years, this is an exciting time to join the airport and the opportunities available cater to a variety of backgrounds and experience levels. Access the website for the Stansted employment and skills academy here.